You may have heard the saying “If you always do what you’ve always done, then you’ll always get what you’ve always got.” Well, at Productive Plastics, we take this saying literally, and since we are always striving for innovation, efficiency, and a superior quality thermoforming, we are constantly evolving our business practices and processes to achieve these goals. 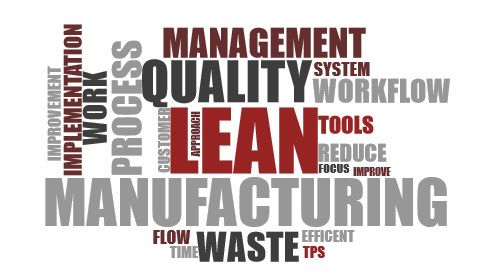 Since 1998, Productive Plastics has adopted a lean culture approach to our business both on and off the manufacturing floor and, in recent years, we have integrated TPS (Toyota Production System) as the means to implement lean tools and practices. “The core idea is to maximize customer value while minimizing waste. Simply, lean means creating more value for customers with fewer resources. So what does this mean for your project? From experience, we have learned that the benefits of this approach are, in fact, tangible for both the customer and the manufacturer. Substantial reduction of lead time, associated costs, and attaining a consistently high part quality are just a few of the advantages resulting from a truly lean approach to manufacturing and business. Look for further content in the near future exploring in greater detail some of the features and benefits of working with a manufacturer that utilizes lean techniques in the design and manufacturing process. You can also visit our manufacturing page for more information.